Shulamit Reinharz's areas of teaching include group dynamics, history of sociology, social psychology, the relation between Jews, gender and art. 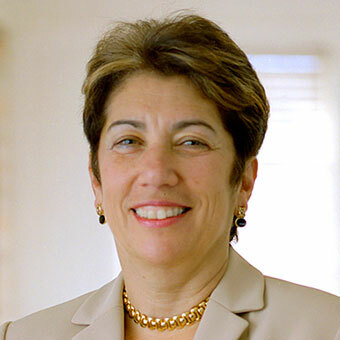 Since 1991, she has been deeply engaged in institution building, first as director of the Women's Studies Program at Brandeis, and then as founder of two research institutes housed in a renovated building that she designed. Reinharz is deeply engaged in community development, in Jewish women's studies, and empowering students and scholars through various new programs including investigative journalism, a college women's health website, a flourishing art gallery, a book publication series, etc. All of these new activities are propelled and shaped by her sociological imagination. 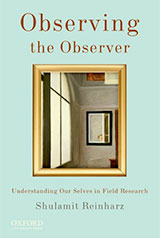 "Observing the Observer: Understanding Our Selves in Field Research." New York: Oxford University Press, 2010. "The JGirl's Guide." (2005) with Penina Adelman and Ali Feldman. Jewish Lights Publishing. "American Jewish Women and the Creation of the State of Israel." (2005) with Mark A. Raider. Brandeis University Press/University Press of New England. "The Body of Knowledge," in Barry Glassner and Rosanna Hertz, eds., Our Studies, Ourselves: Sociologists' Lives and Work, Oxford, 2003. "Interviewing Women" (with Susan Chase), in Jaber Gubrium and James Holstein (eds. ), Handbook of Interview Research, Sage, 2002. "Feminist Methods in Social Research," Oxford University Press, 1992. "On Becoming a Social Scientist," Transaction Books, 1984.